I'm excited to tell you about a fun quilt along that's happening over at the Fat Quarter Shop. 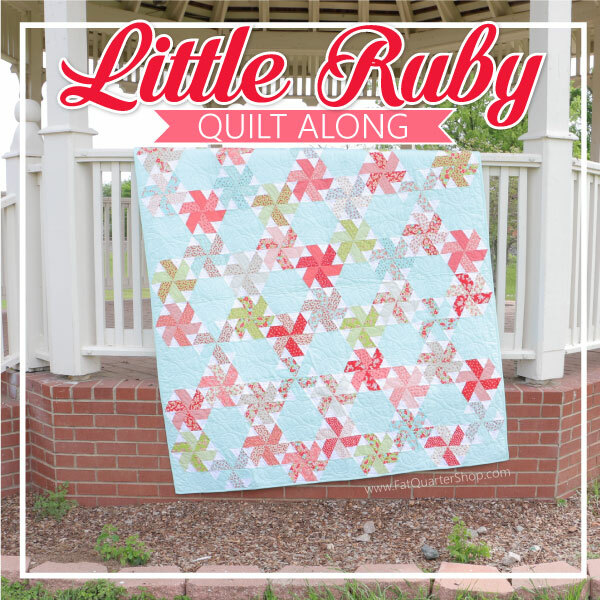 It's called the Little Ruby Quilt Along. The quilt is designed by Camille Roskelley and in the process of making the quilt you'll actually make enough blocks for TWO quilts. Sweet. You can find the (FREE !) pattern here on the Jolly Jabber blog, and find kits for the quilt along here in the Fat Quarter Shop. Or you can choose your own supplies from the shop like I did. Here's what you'll need: two jelly rolls, two white jelly rolls and a background fabric. For my jelly rolls I'm using Little Ruby, and instead of the two white jelly rolls I'm using this gorgeous Moda Crossweave in grey - which will also be my background fabric. 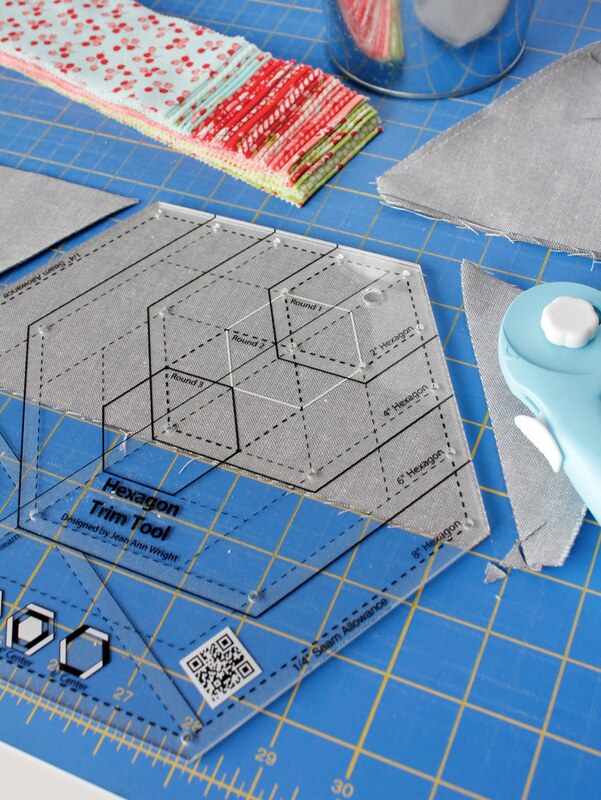 You'll also need the Creative Grids Hexagon Trim Tool and the Creative Grids 60 degree Double Strip Ruler. If you don't already have those two rulers, you can order them from the Fat Quarter Shop here and here. I've already gotten started on my cutting and I quickly became a fan of the Hexagon Trim Tool. It's new to me but I'm glad it's now in my collection of rulers. I'm already thinking of other fun uses for it. There's a whole group of us who will be sewing along and sharing our progress. It will be fun to see what fabrics everyone has chosen to use. Will you be quilting along with us? 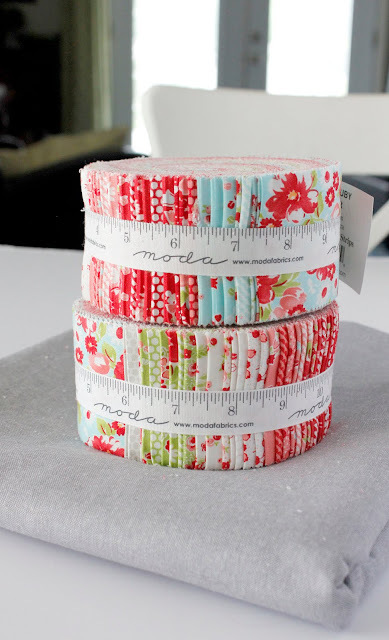 Grab your favorite jelly roll and some background and get cutting! The next installment / video will be on Monday, June 13th so you'll have time to order your supplies and get everything cut. You can also follow along with everyone's progress on Instagram with the hashtag: #littlerubyquiltalong.